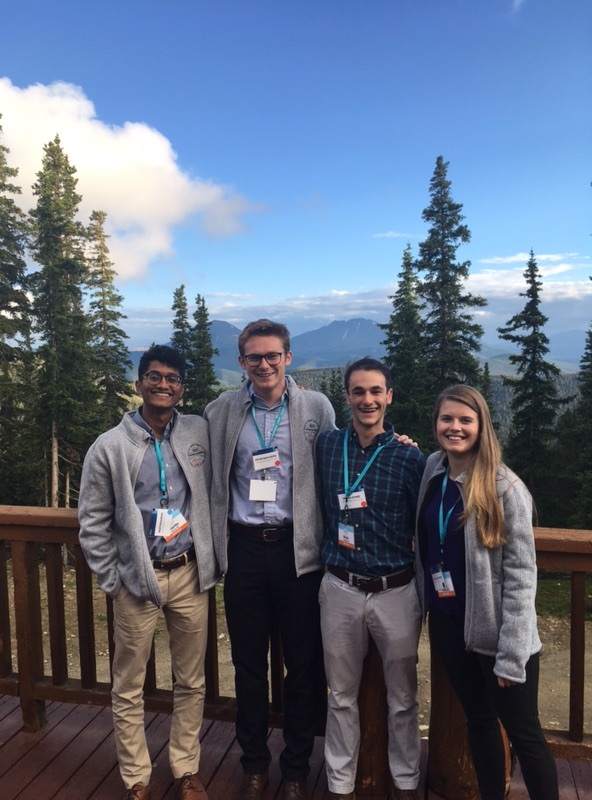 Martin Kurian ’18 (far left) and colleagues at a conference in Keystone, Colorado. October 2018: Work at Close Concerns is driven by the simple question of “How can we improve the lives of those living with diabetes?” Answering this question often takes us far and wide. We travel to an assortment of conferences around the globe that are focused on the latest advances in diabetes care, and work to translate these findings to all stakeholders affected by diabetes, including patients. See us above covering a conference in Keystone, Colorado a few months ago! Learn more about Martin and the rest of his Project 55 Fellowship cohort by reading their bios in On the Path, the Fellowship directory.